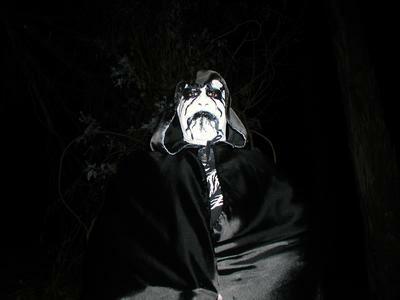 A one man (Ancalagon the Black) Black Metal outfit Hailing from the San Fransisco Bay area. Music: Stripped-down, simplistic, Lo-fi, tremelo dominated Black Metal with a few "Rocking" and epic parts here and there. Analogous to Darktrone's "Transilvanian Hunger" and Nargaroth. Vocals: High-pitched with Industrial vox effect similar to the style used on Leviathan's (USA)"The Tenth Sublevel of Suicide".